Chart 5.3.2 presents data on the age composition of all members of client households by program type. Food pantries are estimated to serve annually about 3 million young children, and overall more than 13 million children under 18. 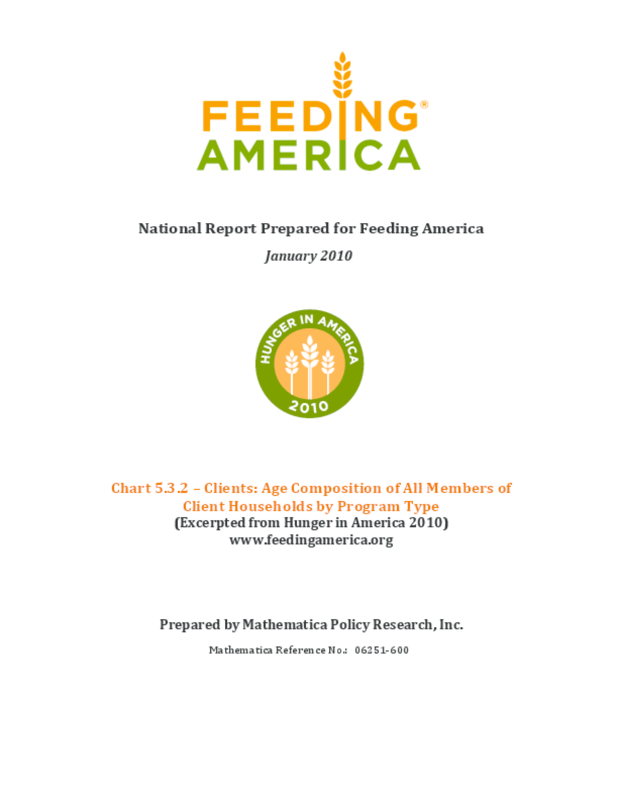 Members of households of clients at Feeding America kitchens include nearly 0.7 million children under 18; the comparable number for shelters is 0.3 million. Members of the households of clients at Feeding America kitchens include about 0.2 million people 65 and older; the comparable number for shelters is much smaller, which reflects not only the smaller numbers at shelters but also their different clientele.